The brand communications guru, writer, academic and exco member of Mercy Malaysia talks about how his role has evolved over the decades. 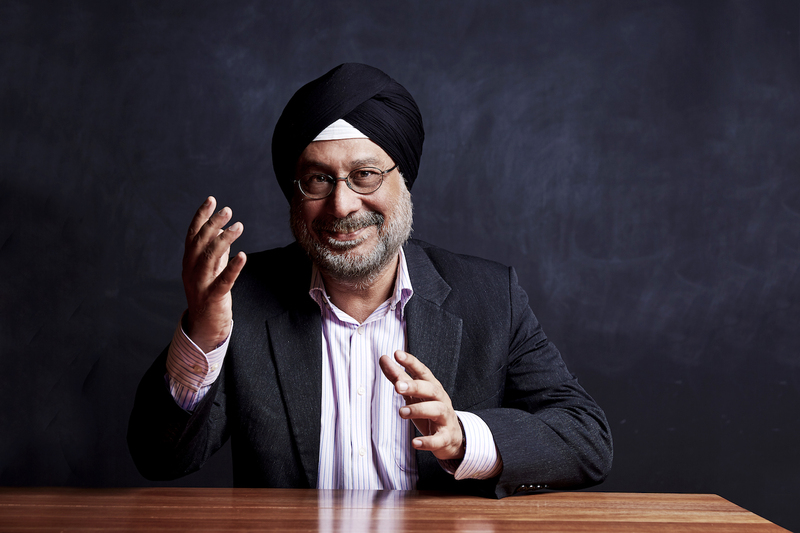 I may wear many hats but only one turban!” laughs Professor Harmandar Singh Naranjan Singh as we trace his career path during an interview at Mercy Malaysia’s office. Call it a catchphrase — you may have heard it before — but there could not be a truer way of summing up the illustrious career of Ham Singh, as he is fondly called. Whether he is writing 10,000 words per week, lecturing at Taylor’s University Lakeside campus, organising multiple industry events or overseeing the communications bureau of Mercy Malaysia, the founder of Sledgehammer Communications is nailing it. Born in Bukit Besi in Dungun, Terengganu, Harmandar’s family moved to Selangor when his father got a job at Associated Pan Malaysia Cement Sdn Bhd in Rawang. Despite having left the east coast state in his adolescence, he says he is a true anak Terengganu at heart. Harmandar, who has a way with words, soon discovered that the advertising industry combined his affinity for prose with idea creation, which he not only enjoys but also has a knack for. “I liked writing for advertising and that there was such deep thinking required to make complex things seem simple when it comes to delivering a message. That naturally drew me to it. I do a lot of thinking; even when I am not writing, I am actually ‘writing’ in my head, so when I get to the computer, I already have my first few paragraphs [mentally-written]. I have always been that kind of a thinker and I found having to come up with advertising concepts to be in line with my depth and pace,” says the man who was a weekly columnist with The Star and New Sunday Times for 11 years. His role in the ad agency encompassed various aspects, such as writing, illustrating and video and audio production. “My position was creative director and by default, people would say it was my idea but that is not really true. Maybe I was in the space, adding to the idea and making it better or showing them (the team) how it could work and later selling it but it is not a situation where you are the only person,” he says, adding that each ad is the end result of teamwork. For the full story, pick up a copy of The Edge Malaysia (Feb 11, 2019) at your nearest news stand. Save by subscribing to us for your print and/or digital copy.